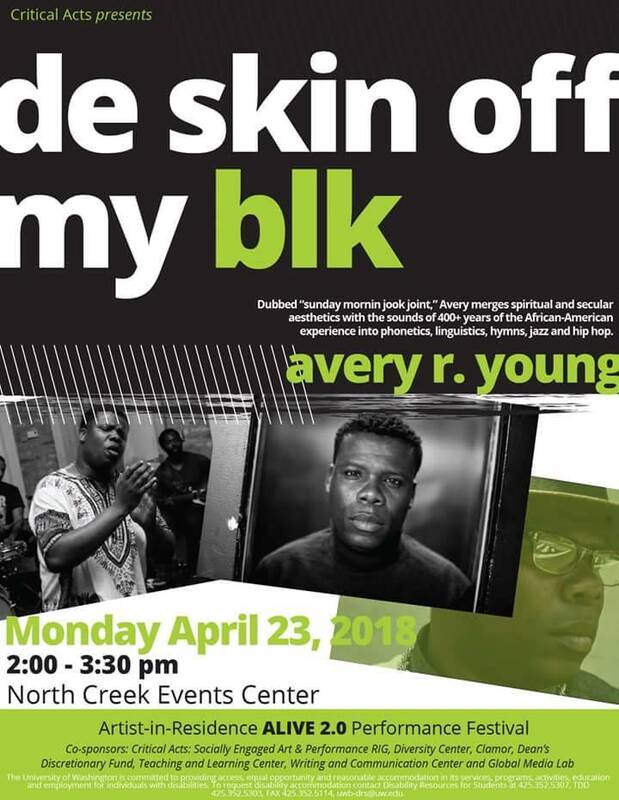 Join Professor Ali and Clamor on Monday, April 23 at the North Creek Events Center in welcoming artist avery r. young as he performs “de skin off my blk.” It is suggested to arrive at around 1:45 pm so that everyone will be settled on time. All are welcome! We’re looking forward to seeing your 2018 submissions! We accept collaborative pieces, literary works, audio and video, and visual art.